When chocolate and coffee get together, delicious things happen. Today I wanted to share a quick and easy recipe for those cold winter nights when you are studying at home and need an extra boost of energy. Let's face it we all love going to Starbucks but there are days we are just too lazy to get out of the house, so why not make your own signature coffee at a fraction of the cost. The trick to a good chocolate chip mocha coffee is using the right ingredients. It's okay to cheat with a Keurig Café Mocha specialty pod but if you enjoy the smokey, bitter, rich flavor of coffee you need to use espresso. Add steam milk to your espresso, then add the unsweetened cocoa and sugar to taste. Topped with whipped cream, and chocolate chips and drizzle organic honey on top. 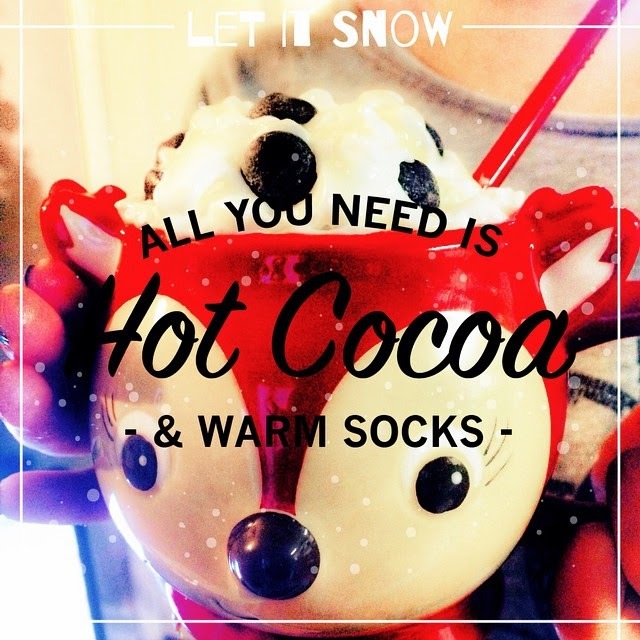 Put on your fuzzy socks and enjoy!